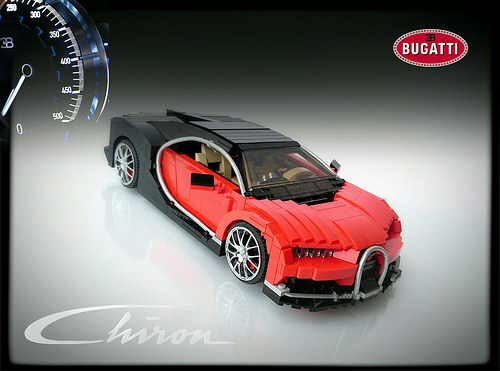 Master supercar builder Firas Abu-Jaber nails it again with his model of the Bugatti Chiron. Firas captured the balance of aggressiveness and beauty of the real thing, both interior and exterior, with the incredible quality building skills he is known for. Even the curved silver trim, constructed from flexible hose pieces combined with minifigure swords, is on point. Flip through all 15 photos of Firas’s Bugatti Chiron, presented outstandingly with facts about the real supercar throughout, on his Flickr.